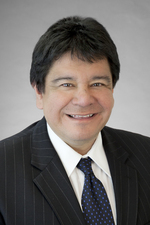 Robert J. Romero is a trial lawyer emphasizing complex commercial matters, products liability, insurance bad faith and professional liability disputes. He has first chaired numerous jury and bench trials throughout California, and has litigated significant matters in Arizona, Oregon, Nevada and Hawaii. He has also served as appellant counsel in a number of reported decisions. Mr. Romero also acts as counsel to several Hinshaw & Culbertson LLP corporate clients, providing counsel nationwide in high exposure, bet the Company cases, which involve catastrophic loss, extra contractual and punitive exposure. Mr. Romero's approach is to break the complex down and present it to a jury in a thoughtful, understandable, and relatable manner. Mr. Romero continues to devote a considerable portion of his practice to the defense of lawyers, insurance and financial brokers, real estate and design professionals. That work, which involves a disciplined approached to the “case within a case” has led to cases in the commercial litigation arena, notably to defense at trial and arbitration on behalf of Fortune 50 clients of the firm. Moreover, his known skill as a trial lawyer has led to several clients to retain him in catastrophic bodily injury and product liability claims that are unable to be resolved short of trial. Mr. Romero is the Partner-in-Charge of the San Francisco office, and serves on Hinshaw's seven member Management Committee, the firm’s principle governing body. Mr. Romero is a former Legislative Assistant to the Chairman of the California State Assembly Judiciary Committee. Mr. Romero joined Hinshaw in January 1998. In 2006, Mr. Romero was elected to the Federation of Defense & Corporate Counsel. Mr. Romero is a member of Claims & Litigation Management Alliance, a nonpartisan alliance comprising thousands of insurance companies, corporations, Corporate Counsel, Litigation and Risk Managers, claims professionals and attorneys. In January 2014, Mr. Romero obtained a defense verdict in a million dollar fraud, negligence and breach of contract lawsuit, venued in the San Mateo County Superior Court following a three-week trial. The case arose out of various allegations of professional negligence, misrepresentation, and included a claim of punitive damages. Successfully defended a national insurer in a breach of contract and insurance bad faith case arising out of sexual molestation case. The case was predicated on various acts of alleged misconduct, which the insured argued constituted "negligent" misconduct. Judgement was obtained on behalf of the insurer defendant, eliminating the potential for tort and punitive damage recovery. In October 2012, Mr. Romero successfully obtained a defense verdict on behalf of a large real estate brokerage in a fraud, breach of contract and negligence claim following a two week trial in Alameda County, California. Obtained a $5 million dollar unanimous jury verdict in Alameda County, California in favor of a International Insurer that was affirmed at the Court of Appeal and satisfied including over $1 million in post judgment interest. Unanimous jury verdict in Alameda County, California in favor of insurance agent and broker sued for negligence and insurance bad faith. Unanimous jury verdict in Los Angeles County in favor of insurer sued for breach of contract and negligence. Verdict in San Mateo County in favor of National Real Estate Brokerage in fraud, breach of contract and negligence case. Jury verdict in favor of law firm for professional negligence in the San Francisco Superior Court. Successfully defended international insurer in action filed in California and London, alleging bad faith and breach of contract. Case affirmed by the California Court of Appeal. Successfully defended International Insurer in advertising injury coverage claim stemming from trademark and patent litigation. Successfully defended National Insurer in catastrophic bodily injury and property damage claim arising from Ka Loko Dam break in Kaui, Hawaii. Successfully defended law firm in malpractice allegation arising from wrongful termination claim by airline employee. Successfully defended law firm in malpractice allegation arising from mishandling of underlying trademark and patent infringement claims. Successfully defended law firm in malpractice claim involving allegations of family law standard of care issues. Verdict in favor of San Francisco landowner in breach of contract case. Successfully defended International Financial Institution in Unfair Business Practices and fraud claims. Successfully defended disability insurer in ERISA matter alleging insurance bad faith. Successfully defended design professional in negligence claim arising from multi million underlying construction project. Successfully defended law firm against allegations against abuse of process and malicious prosecution. "Direct Examination; Trial Objections," California Trial Advocacy 2016, San Francisco, California, August 3, 2016. "Attorney-Client Privilege in House Counsel Environment," at the Twenty-Sixth Annual Association of California Insurance Companies (ACIC) General Counsel Seminar July 22, 2015. "California Trial Advocacy 2014," Practising Law Institute, San Francisco, California, July 2014. "Hot Topics in Professional Liability, Medical and Products Liability Law," Markel Corporation, Deerfield, Illinois, October 2013. "California Fair Claims Settlement Practices Regulations," Colony Insurance Company, Greenwood Village, Colorado, October 2013. "Preparing Your Case for Trial, Including Motions in Limine/Deposition Designations," Practising Law Institute, "California Trial Advocacy 2013," San Francisco, California, August 2013. "Expert Witnesses—Can’t Live With ‘Em—Can’t Live Without ‘Em. Tips on the Use and Misuse of Experts in Bad Faith and Coverage Case," American Bar Association 2013 Insurance Coverage Litigation Committee Meeting, March 2013. “Panel Discussion on Professional Development,” American Bar Association Commission on Racial and Ethnic Diversity Spring Program, Las Vegas, Nevada, May 2012. “Insuring the Information Age,” Professional Liability Underwriting Society, Scottsdale, Arizona, October 2011. “Is It OK to Be Wrong? Can an Insurer Avoid an Extra-Contractual Liability if its Position is Fairly Debatable?” Hinshaw’s Annual Insurance Services Symposium, Chicago, Illinois, October 2010. “Indemnity Agreements (Contract & Coverage Issues),” client in-house presentation, Richmond, Virginia, January 2010. “Beyond Bad-Faith and Non-Cooperation: Moving to an Appraisal-Centric Model for Resolving Property Damage Claims,” American Bar Association Litigation Section, Insurance Coverage Litigation Committee CLE seminar, Tucson, Arizona, March 2009. “Recognizing and Avoiding the Enhanced Risk of Extra-Contractual Exposure,” Hinshaw’s 2008 Insurance Services Symposium “The Industry Responds to the Economic Storm,” Chicago, Illinois, October 2008. “How Not to Respond to Catastrophic Loss,” Hinshaw’s 2007 Insurance Services Symposium, Chicago, Illinois, May 2007. “Litigating the ‘Bad Faith’ Claim,” Hinshaw’s Insurance Services Symposium, Chicago, Illinois, February 2006. “Electronic Discovery,” Association of Minority Corporation Counsel’s 2nd Annual Continuing Education Conference, 2004. “Mock Trial,” Association of Legal Administrators’ National Conference, San Diego, California, 2004. “Cyber-Tort Liability,” Annual International Professional Liability Underwriting Society Conference, November 2000. Mr. Romero is the Issue Editor of "Legal Malpractice: The Law Office Guide to Purchasing Legal Malpractice Insurance," 2005 edition, West Group. He has been the Editor for the publication since its inaugural 1995 edition. “Written Attorney-Client Fee Agreements In California,” Legal Malpractice Report, Volume 2, No. 4, 1991. “Motions For Disqualification,” Legal Malpractice Report, Volume 1, No. 4, Spring 1990.